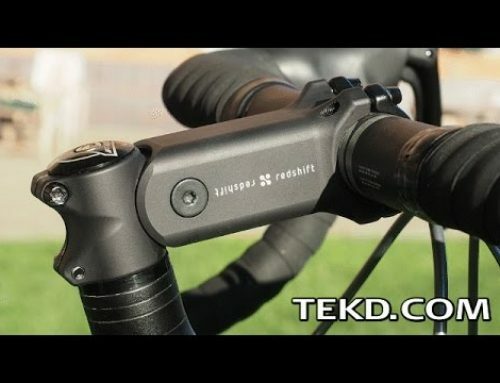 There have been several ideas and prototypes for e-bikes in recent years and now, it looks like there is a Storm coming later this year. 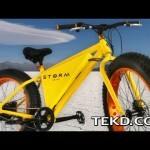 Storm is an e-bike with big backing that could make it a widely available product by the end of the year. The most eye-catching part of Storm is the all-terrain wheels giving the bike dominance over sand, snow and rocky terrain while providing a smooth riding experience. Those wheels can be powered by pedaling or by Storm’s 350-watt gear motor that can propel the bike at up to twenty miles per hour. The motor draws its power from a swappable lithium ion battery pack giving the bike a range of up to fifty miles on a single charge, completely recharged and ready to go in just ninety minutes. Riders control the speed of the bike with a thumb throttle, making it easy to disengage the motor in crowded areas. The entire frame of the Storm bike is constructed from steel giving the bike a total weight of fifty-five pounds with the battery, motor and tires. Storm will be available in several colors and will begin the manufacturing process this year with shipping by early summer and if you hurry, you can grab one for just 600 bucks.